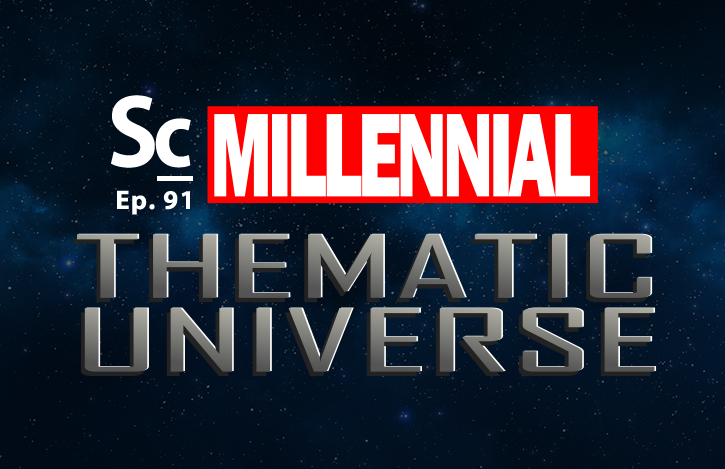 After the video, “MARVEL SYMPHONIC UNIVERSE” by Every Frame A Painting went viral on Youtube in 2016, Christopher Coleman sat down with three family members who are a part of the “Millennial” generation to: talk about their feelings about film, tv, and game music, see how much film music they recognize, and which film composers they are familiar with. The resulting conversation is an entertaining peek into some of the ways this generation relates to much of the music attached to today's films, TV shows, and video games. This discussion was recording back in September 2016. 06:04 - Can you hum a theme from any movie? 10:23 - Can you hum a video game theme? 11:52 - Do you recognize these film music themes? 19:32 - Can you hum any TV themes? 21:26 - Can you name some video game composers? 21:54 - When you watch a film are you ever conscious of the music? Soundcast Stereo Ep. 9 - Feedback - "China, Millennials and the Theme"
Soundcast Stereo Ep. 12 - Reacting to the "Marvel Symphonic Universe"